Finding in home care in South Orange NJ can be a stressful experience. There are so many choices and decisions to make and it’s easy to get overwhelmed. We understand, and that’s why we have put this list of senior resources together. It includes information about senior services, activities, and businesses catering to seniors. If you are looking for senior in home care in South Orange NJ or just have questions about senior care in general please call the Assisting Hands office at 973-970-2723. Are there legal requirements for home care providers in South Orange NJ? The laws regarding home care agencies in South Orange NJ are quite specific. A home care agency must be licensed, bonded, and insured in order to provide senior care services in South Orange NJ. Caregivers must be licensed with the state and undergo fingerprinting and background checks. A registered nurse must provide oversight for the caregivers and clients. 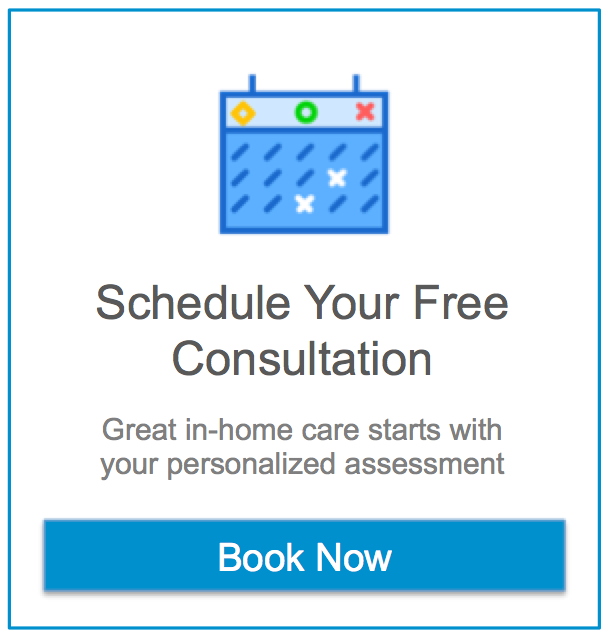 Clients must receive, at the very minimum, an initial assessment by the nurse to create a care plan, a 30 day follow up assessment, and additional follow up assessments every 60 days after that. The Village Apartments in South Orange NJ are run by the Jewish Community Housing Corporation. The apartment complex opened in 1988 and has a variety of apartment styles including 51 one bedroom, 13 studios, and 4 one bedroom units that include an additional den. For seniors living on a limited income, there are 24 shared apartment units. The apartments are in a great location. Seniors can get some light exercise and walk to the nearby library, and local dining and shopping destinations. There are also service packages available which include social activities and meals plans. The Senior Citizen Mini Bus is provided under the services of the Senior Services Unit of South Orange NJ. The bus offers transportation services to 14 seniors. It takes them to shopping areas and popular destinations within South Orange Village. The Senior Citizen Mini Bus also provides transportation to local shopping malls on 2 Mondays a month. Please note that reservations must be made in advance. The Baird is a multi-room recreational facility which houses the offices for the South Orange Village Department of Recreation & Cultural Affairs. The South Orange library has activities for every age group. Adults and Seniors who are interested in learning computer basics can take classes and learn how to use the Internet and software like Microsoft Excel. Children and teenagers will go for the Minecraft and anime clubs held a few times a month. If you need help getting those creative juices flowing then perhaps joining the writing club is just the way to do so. If you can’t make it in person, E-books are available for download onto your e-reader, tablet, or smartphone. The Peter S. Conner Memorial Swimming Pool is located in South Orange NJ and is run under the department of Recreation and Cultural Affairs. The pool can be found across from the Baird inside the Cameron Field complex. The South Orange Community Pool is easily accessible from many walkable locations including Mead Street, South Orange Avenue, and more. The pool is operational starting on Memorial Day Weekend and has weekend hours through the end of June. After that the regular swim begins and the pool is open 7 days a week. The swim season lasts through Labor Day Weekend. Houses of worship can be great places for seniors to socialize and get involved with their communities. Most religious institutions offer activities and events that seniors will find enjoyable. Below is a list of temples and churches located in South Orange NJ. Oheb Shalom in South Orange NJ is a conservative Jewish temple. It was founded in the fall of 1860 and it only cost thirty-six cents per month to join. Today, the congregation is still going strong and offers a calendar full of events that will appeal to people of all ages. The group, Simcha Seniors, meets a few times per month for presentations, meals, and film screenings. If you are interested in attending religious services or joining Simcha Seniors please contact Oheb Shalom for more information. Congregation Beth El is a conservative, egalitarian temple located in South Orange NJ. The synagogue was started by 20 families on June 28, 1946. In 2016, Beth El will be celebrating its 70th anniversary. The temple has outreach and social programs for all age groups. For seniors in particular, the temple offers movie nights, game nights, and other educational and social programs. Please contact Congregation Beth El directly for their current calendar or events. Temple Sharey Tefilo Israel is a conservative synagogue in South Orange NJ. The temple began in 1874 when 10 Orange NJ merchants got together in a tiny room above a storefront. Today, the temple has over 850 families attend religious services, education events, and social programs. Temple Sharey Tefilo Israel provides many opportunities for seniors to gather for classes and social programs like movie screenings and discussions. Please contact the temple directly to inquire about upcoming events. First Trinity Presbyterian Church in South Orange NJ has an honored history of inclusion and diversity and a commitment to social justice. The church seeks to give back to their local community by offering support groups and programs and charity services. They also offer education and social events like bible study and movie nights. Please contact the church directly for more information about upcoming events and announcements. The South Orange Vailsburg United Methodist Church is a small congregation that focuses on fellowship and spiritual growth. Social programming includes community service, missions, and unique events like movie nights, choir practice, and other fun get togethers. To find out information about the current calendar of events please contact South Orange Vailsburg United Methodist Church’s office directly. St. Andrew and Holy Communion is an episcopal church in South Orange NJ. The church welcomes everyone to join them for upbeat services, spiritual development, and educational and social events. The calendar is always chock full of events including meditative mass, drumming classes, and lunches with the reverend. please contact St. Andrew and Holy Communion for current information about getting involved or learning more about class offerings.